6.3 How do I get to Little Corn? The Corn Islands are two islands located in the Caribbean Sea, roughly 70 km east of the Nicaraguan mainland. 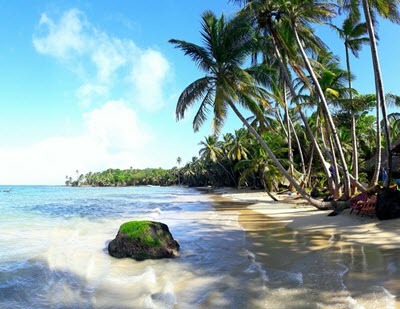 The largest island, which is roughly 10 square kilometers in size, is aptly named Big Corn Island, while the smaller one – Little Corn Island – measures less than 3 square kilometers. In recent years, tourism to both Big Corn and Little Corn has grown considerably. The sandy beaches and the Caribbean Sea makes the island a popular destination for visitors looking for beach life, swimming, snorkeling and scuba diving. There are plenty of coral reefs to explore under water, where you can encounter marine species such as barracudas, spotted eagle rays, green sea turtles, and hammerhead sharks. Compared to many other Caribbean island, the Corn Islands are very rustic. Most of the hotels and vacation homes are low-key and quite affordable. This is not the place to go if you want big luxury hotels and fancy yacht parties. This is a place to go on a budget. This is not to say that there are no luxury properties on the Island, A number of rich expats and binary options traders have found a home on the Island. The islands low cost allow them to live a life of luxury that would be impossible on other caribbean islands. Compared to mainland Nicaragua, many things are a bit more expensive on Big Corn, and much more expensive on Little Corn. Throughout most of the 1900s, coconuts was the dominating cash crop on Corn Island. In the 1960s and 1970s, commercial fishing – including lobster fishing and shrimp fishing – became an important source of income for the islanders. Lobster fishing is still very important for the economy of the Corn Islands, but is only permitted during the lobster season. The Corn Islands have a tropical climate. February – April is generally referred to as the dry season, but the drought is not as severe as on Nicaragua’s Pacific Coast, since trade winds carrying moist air from the Caribbean Sea ensure that rain falls now and then on the Corn Islands even during the dry season. During the rainy season, the Corn Islands get a lot of rain, and the rains are often very heavy. Hurricanes can bring exceptionally strong precipitation combined with strong winds. The official hurricane season for the Caribbean Sea is 1 June – 30 November. For Corn Island, the risk of hurricanes is usually at its peak from mid-August to mid-September. The Corn Islands municipality is divided into six barrios. Five of those are on Big Corn Island, while Little Corn Island is just one barrio altogether. With several thousand residents, Brig Bay is by far the most populous of the six barrios. The official currency of Nicaragua is the Nicaraguan Cordoba (NIO), but most places will readily accept United States Dollars (USD) as well. It is even quite common for prices to be quoted in USD rather than Cordoba, especially for pricier stuff and things offered to tourists (vehicle rentals, dive tours, boat trips, etc). Always ask for the exchange rate when paying in another currency than the one quoted. Many places will refuse to accept US dollars that are considered damaged, e.g. having ink marks on them or a (even a small) tear. Many establishments also refuse 100 USD bills due to a fear of counterfeit bills. It is a good idea to always have small (USD or NIO) bills available, because many places do not have enough change to handle big bills if you make a small purchase. Even a 500 Cordoba bill is considered a big bill. There is an ATM at Banpro Bank, but it is sometime out of order, so bringing cash is advisable. Most of the larger hotels will accept VISA and MasterCard. Always check in advance. 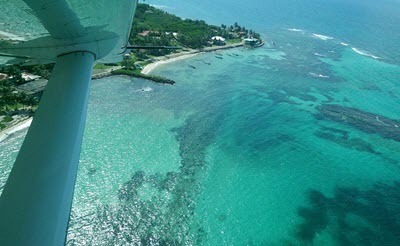 There is an airport at Big Corn Island, but not on Little Corn Island. 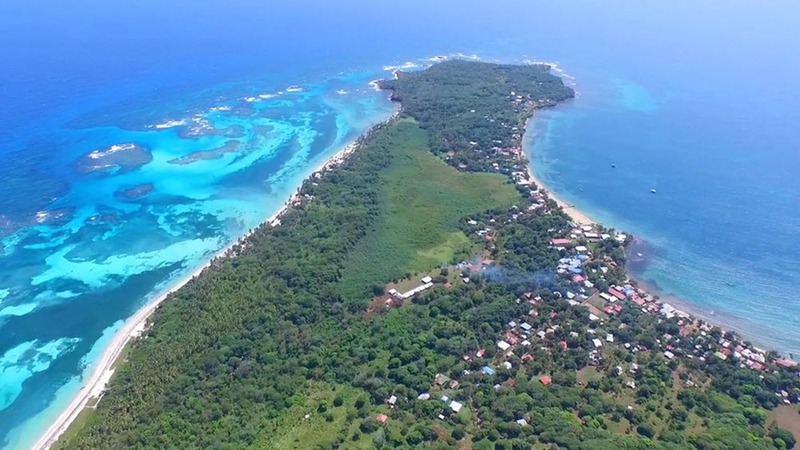 The name of the airport is Corn Island International Airport (IATA: RNI, ICAO: MNCI). The airline La Costeña have regular flights to Big Corn from Managua (the capital of Nicaragua) and Bluefields (the largest city on Nicaragua’s east coast). A cargo ship departs at least twice a week from El Rama and travels the Rio Escondido to Bluefields. From Bluefields, you can take a panga (small motor boat) to Big Corn or catch the once-a-week government ferry to the island. The trip from El Rama to Bluefields takes up to 12 hours. The ferry from Bluefields to Big Corn takes around 5 hours. The pangas are faster, but the ride can be quite rough (and wet). How do I get to Little Corn? A vast majority of all visitors to Little Corn go to Big Corn first (by air or boat) and arrange the trip to Little Corn from there. There is no airport on Little Corn and no ferry from the mainland. Virtually all hotels, hostels and dive shops on Big Corn can help you arrange boat transport to Little Corn. Even though Nicaragua is mostly a Spanish-speaking country, English creole is more commonly spoken than Spanish on the Corn Islands. The islanders are largely of mixed African and Amerindian descent, with some European genetic material thrown in as well. Since the late 20th century, there has also been a considerable immigration of Spanish-speaking mestizos from the Nicaraguan mainland. As a part of the Mosquito Coast, the Corn Islands were a British protectorate from 1655 to 1860. It wasn’t until 1894 that the region was annexed by the (Spanish-speaking) Nicaraguan government. The era of piracy in the Caribbean began in the 16th century and came to an end during the first half of the 19th century. The Corn Islands were two of several islands in the Caribbean frequented by pirates during this epoch. Big Corn and Little Corn was leased to the USA for 99 years under the Bryan-Chamorro Treaty of 1914, but the United States never maintained any significant presence on the islands. At the request of Nicaragua, the United States and Nicaragua abolished the treaty and all its provisions in 1970. Most inhabitants on the Corn Islands speak Creole English and/or Spanish. Spanish used to be quite rare here, but the growing tourism sector has attracted Spanish-speaking job seekers from the Nicaraguan mainland. Some inhabitants on the Corn Island speak Miskito, but this language is becoming increasingly rare. Many of those who speak Miskito also speak Creole English or Spanish. Some of the islanders who work in the tourist sector can switch between Creole English and a “tourist version” of English that is easier to understand for visitors who aren’t used to Creole English.